A: I have always gotten enough time to catch my breath, get some water and even do a little quick stretching in between. At OCS, you will have so much time in between events that the worry is muscles cooling too much if it is winter or fall, in my opinion. They take a few minutes to total everyone’s scores and give instructions for the following event. Same for the PFT & CFT. Q: Do you recommend CrossFit also to prepare for Marine Corps OCS? The best OCS preparation workouts are OCS workouts. Q: I was planning to go this summer to OCS. Do you know if the OSO’s really strict on speeding tickets? I hope all you Crossfitters are doing full dead hang pull ups. No kipping allowed! A: Only enlisted do the gas chamber during boot camp. After OCS (OFFICER Candidate School) comes TBS, The Basic School for new 2nd Lieutenants, and it is there that we do the gas chamber. It sucked, but worrying ahead of time didn’t seem to help at all. A: I memorized a fair amount, but would recommend more. I failed one test at OCS and had to take it again on the weekend. Memorize everything you can that I have posted on the site! Q: I am going to OCS on the Bulldog program. I currently have a 279 PFT but am more concerned with keeping up with humps (the farthest we have gone is about 9-10 miles), and improving on the CFT. I’ve been Crossfitting for about a year but your suggestions seem a lot more applicable. My main question is, how often should each of these workouts be done per week? A: Alex, crossfit is a good workout, but it is not the USMC OCS workouts–these are. Usually, I would say, do these workouts as much as you can. Most non-Marines/non-crossfitters would not have the discipline to be able to match the OCS intensity of them, but perhaps that wouldn’t be your problem. So give yourself a day or two of rest a week, that’s just my recommendation but if you do get out there and work out 5 days a week, you won’t be sorry. That’s about the frequency we were doing it at OCS. Also, I had never humped before in my life–they break you into it. First was a 4 miler, then 6, then 9 then 12. Each time I was more confident and ready than the last. If you want to load up a pack and put on your boots and head out to practice, feel free. The preparation will be mostly mental because I assure you, these workouts will strengthen your body enough. Candidates at OCS perform the side plank. If you’re not doing this ahead of time as part of your workout, prepare for pain. Q: I plan on becoming an officer, but where do I learn cadences? Or do you learn them at OCS? A: Excellent question. You will pick some up at OCS but I remember candidates calling cadences on almost our very first runs already. I highly recommend getting a cd of them or mp3s, and running while memorizing them. That’s what I did and I wished I had learned more ahead of time. Put these on your ipod! Try to memorize 3-4 at a minimum ahead of time, as time allows. Q: I plateaued at about 10 pull-ups inboard, no matter the program, so I switched to outboard and went from 1 to 9 in only two or three weeks. My problem, though, is that I got these thick calluses on the balls of my palms, from when the skin get pinched when doing the pull-ups. They hurt and end up decreasing my numbers, no matter whether I use a padded bar or not. A: Plateauing and the callus pain are common problems, actually both of which I’ve experienced. Plateauing: if you can do 10 or more pullups, I recommend doing weighted pullups. 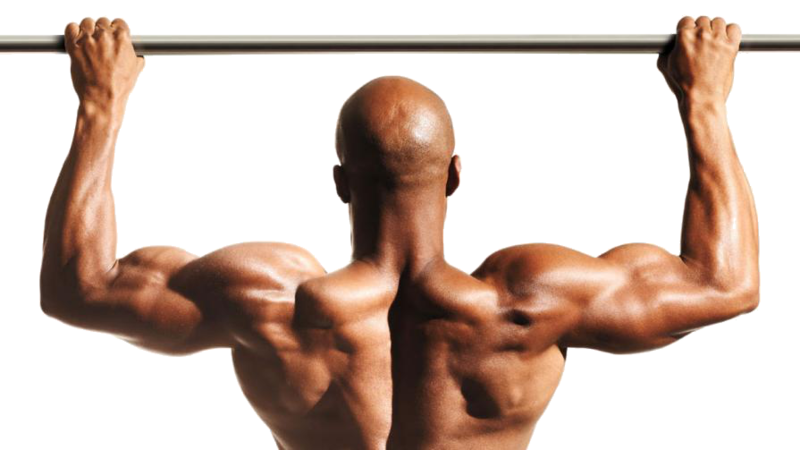 Read up on the Armstrong Pullup Program Advanced, which incorporates weighted pullups and is designed for someone who’s plateaued like yourself. See how that works for you. It got me from about 18-22 pullups. Calluses: Padding on the bar never helped me. What did help was using athletic tape and building up a larger, tape-covered bar. I don’t know exactly why, but that felt much nicer on my hands. You can also try chaulk or lifting gloves, which I settled on. I actually ended up getting gel-filled fingerless bike racer gloves (think Lance Armstrong) and using them on my pullups. When you’re doing hundreds a week, it adds up. Good luck, stay consistent in your work! Q: Is there a high graduating percentage. Like did most people who started finish? Q: Do you get time to practice the Obstacle Course to get good at it? A: You will run it MANY MANY times before the final graded, timed event. If you are one of the candidates who has a problem on ropes, they will get you special times to practice the rope climb every week. I think just about no one failed the O Course when I was there–they help you quite a bit. Not in the most polite manner possible, but they help you. Q: What are some of the biggest reasons for getting dropped from OCS? A: There are a host of reasons to leave OCS. I’ll list the ones I’ve seen. In no particular order: sickness or injury (common), lack of physical stamina, poor leadership, academic failure (rare), stupidity (common). Let me explain stupidity. Some candidates drink on their Liberty, or sleep in and fail to show up on time at the end of Liberty. Some decided to sleep at night instead of do work and preparation for upcoming events. Physical preparation, catching up on sleep ahead of time, and doing what academic work you can ahead of time will cover all your bases. Not being a stupid person and avoiding freak injuries is between you and your Maker. Q: How to prepare for SULE, LRC or other Leadership Challenges? How to prepare mentally? A: First, don’t worry about these events. If you have Marine Corps Officer potential, OCS will ably prepare you for each challenge before testing you. Secondly, I don’t want to give an undeserving candidate a huge edge to succeed at OCS, and become an officer just because he got more gouge ahead of time. If you are a deserving officer, you’ll make it fine with the amount of advice up on the site. Your leadership will be tested appropriately, and I don’t want anyone with poor leadership to succeed just because they “cheated” the system. What will I be issued at my first PLC session? I’d like to get a general idea of what I would need to pack. I am applying to a service academy, and right now OCS is my back up. I will contract for OCS soon (hopefully), but my question is, what would happen if I contracted for OCS and then was accepted to the service academy, would I be able to just walk away from OCS and go to the academy, or will there be issues? From my experience it can be a very, I say again for emphasis, very long process. Depending on how many waivers and how detailed they need your evaluations to be it can take over a year. I had to go to multiple physicians for evaluation and take a trip to Parris Island for screening to receive a Golden Shoulder waiver. Be patient and double the length of time anyone tells you. That way you’ll be pleasantly surprised if it ends up being shorter than expected. Just my personal experience. I currently run the 3 mile in 19 minutes, and I can do the crunches easily. I also can do a consistent 22 pullups. I know I can do better and I definitely will, but my question is does having a good PFT score count more than your weight? I am 5 foot 9 and about 198 lbs, but it is getting more and more difficult to lose the pounds. Also, thank you for this site, it is a lifesaver. Yes your PFT is much more important as long as you are within height and weight standards. I am currently a college wrestler. I want to join the PLC or OCS. I would however still need to train for wrestling during the summer. Is there anyway I would be able to wrestle while doing my 6 week training in the summer? I know we are permitted to drive to OCS. However, can we drive a rental? I plan to get one during the last month of OCS, considering we can’t leave until after the 3rd or 4th week anyway. I just don’t know if it must a personal vehicle or if it can be a rental. Thanks. I am a Lance Corporal in the Reserves headed off to PLC Juniors this summer. Can you provide some insight as to the most common issues you saw with priors, specifically junior Marines, that lead to poor performance or failure? Hi, with very limited experience, the two biggest issues were physical unpreparedness, particularly with running and flexibility, and leadership. For the former, do lots of soft tissue work, yoga, heavy deadlifts and intense cardio circuits. For the latter, just be the most alpha male you can be and follow the OCS way. They will tell you exactly what you need to do to succeed. Execute with aggressive intensity and you’ll do fine. How much of a break is there between boot camp and OCS? Do you candidates go straight into OCS right after boot camp or is there a two week break in between? The Marine Corps does not require officers to complete enlisted boot camp or basic training before OCS. So they simply report to OCS during summers of college, or after they have their degree. Hi. I’d like to know if ocs will accept you if you’ve had prior drug use only once for each drug? If it was marijuana and xanax, what are your chances of getting in. How long ago would it have to have been in order to get in? First of all Thank you for your service & valued information. My son is at OCS now when can we anticipate hearing from him? Will we be allowed to send him stuff in the event he needs anything. He will write to you with his address; you should expect that letter about a week in. You will be able to send items but things like baked goods are often considered contraband. He’ll let you know what the rules are for his unit. Should be any day now! I was accepted !! my recruiter called me a few days after that post and I got accepted I’m very excited. just curious on what now! obviously training and staying in good condition. I have till the summer to get ready but I’m not sure what to do now! Great job! Follow the workouts on the blog and you’ll be fine. What is medical like at OCS? Are there medical background checks? What medical paper work do I need to bring if any? Also, is it true you are not permitted to look at your food while eating it and you have to fold your underwear in little squares? Medical is very basic at OCS. However, the athletic trainers are very good. They are placing emphasis on treating sports injuries and getting candidates back into training. You’ll go through a sports physical and get immunizations and measurements when you arrive, but nothing that you haven’t already done at MEPS. Your OSO will have a list of paperwork to bring, but, it’s basically immunization and injury history. Regarding food, I think that depends more on platoon rules. You will fold everything according to regulations for inspections but otherwise no. If I get accepted into OCS but then fail, what happens? I’m graduating from college next year and want to attend OCS but don’t want to end up being enlisted as a private as I will have a family to feed. Thank you for all the useful information! If you fail OCS you will be sent home and (usually) given the option to re-apply. To my knowledge, an integrity violation or drop on request (quitting) are the only surefire ways to never get back into OCS. There are a surprising number of candidates who have attempted OCS more than once and were successful on their 2nd or 3rd time. You won’t be shipped to the depot if you fail. Are “official” photos of Marine OCS candidates who are cleared to graduate taken prior to graduation, like Marine enlisted recruits?